Raw Food Day 8. | Eat More Plants. Raw, steamed, roasted, blended, juiced, any way at all. My friend makes this amAAAzing beet lentil rosemary soup that I really need the recipe for. So anyway, I blended raw beets with a frozen banana and some brazil nut milk to make my smoothie/ juice today. So delicious! Beets are high in iron and are wonderful for your digestive system. Everything’s better straight from nature right?! And this was lunch. I used my handy dandy julienne peeler to “spaghetti” a zucchini. They make the best noodles. I used my immersion blender to make a quick vinaigrette with garlic, mustard, oil, raw tahini, red pepper, rice vinegar and salt. Another thing I’ve been loving lately are salted apples. I know it sounds strange but sliced thin, rubbed with a lemon and sprinkled with salt….yum. So addictive. I’m into beets too! I have a recipe for beet cake made with stevia as well as beetniks on my blog and am actively collecting lots more! 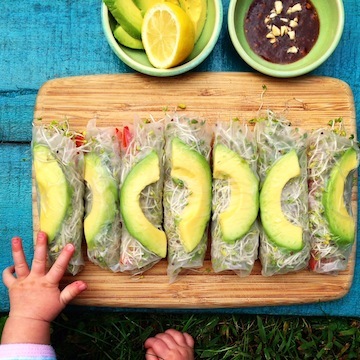 Looks and sounds delish!!! And seriously, salted apples?? I already love raw tomatoes with salt…. Will try! 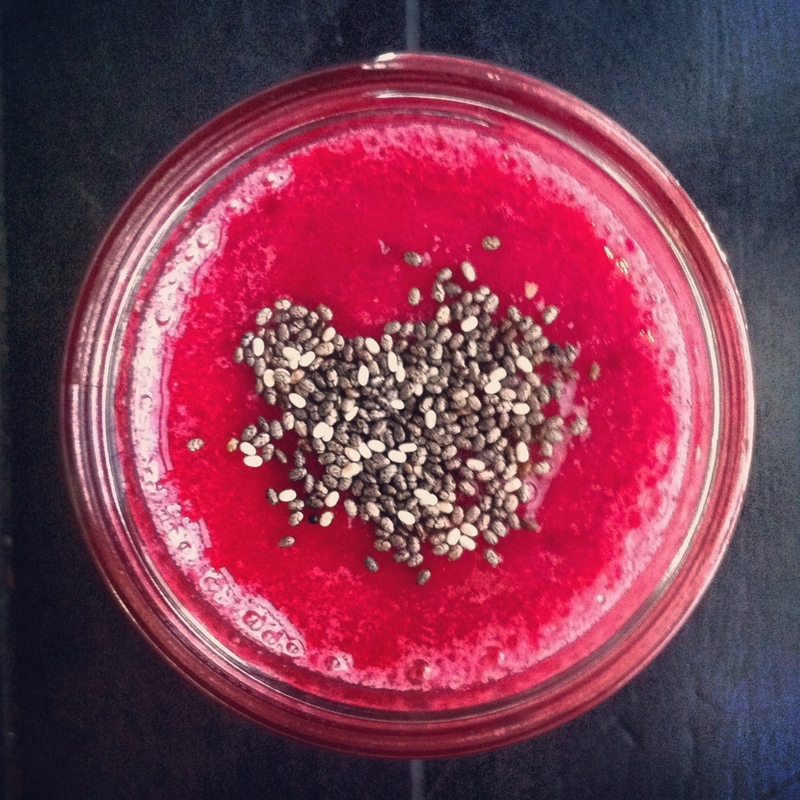 Oo I love beets too and that smoothie sounds wonderful – I’ve never tried brazil nut milk! The lunch sounds divine too! 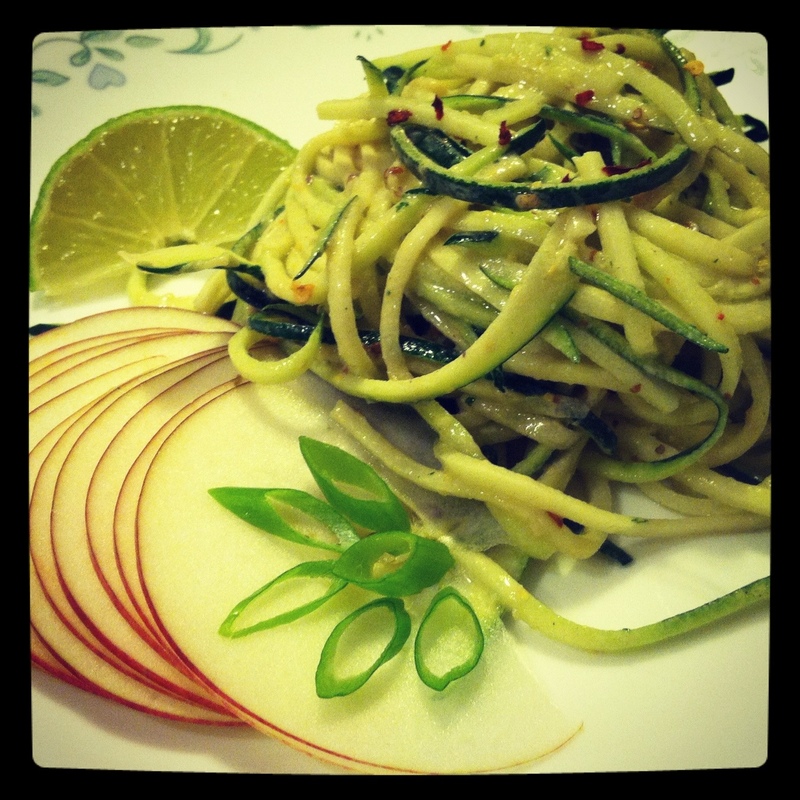 Zucchini noodles, another must-try.